N 6569 - Mirror Door Roller, 1-1/4 inch BB Nylon Grooved Roller, 1 per package. 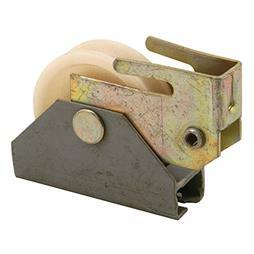 N 6570 - Mirror Door Roller, Unique Housing, 1-1/4 inch Nylon Grooved Roller, 1 per package. N 6571 - Mirror Door Roller, 1-1/4 inch BB Nylon Grooved Roller, 1 per package. N 6572 - Mirror Door Roller, 1-1/2 inch BB Nylon Grooved Roller, 1 per package. N 6573 - Mirror Door Roller, 1-1/2 inch BB Steel Grooved Roller, 1 per package. N 6576 - Mirror Door Roller, Unique Housing, 1-1/2 inch Nylon Grooved Roller, 1 per package. 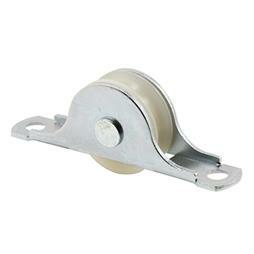 N 6598 - Contractor's Wardrobe Mirrored Door Roller, Nylon BB Roller, 1 per package. N 6599 - Monarch Mirrored Door Roller, Nylon BB Roller, 1 per package. N 6625 - Mirror Door Roller, 1-1/4 inch BB Nylon Grooved Roller, 1 per package.